We have models in several categories, including Locks, Engines, Cars and Car Components, and Clocks. Please browse our selection below and click on any model for full details, including videos. 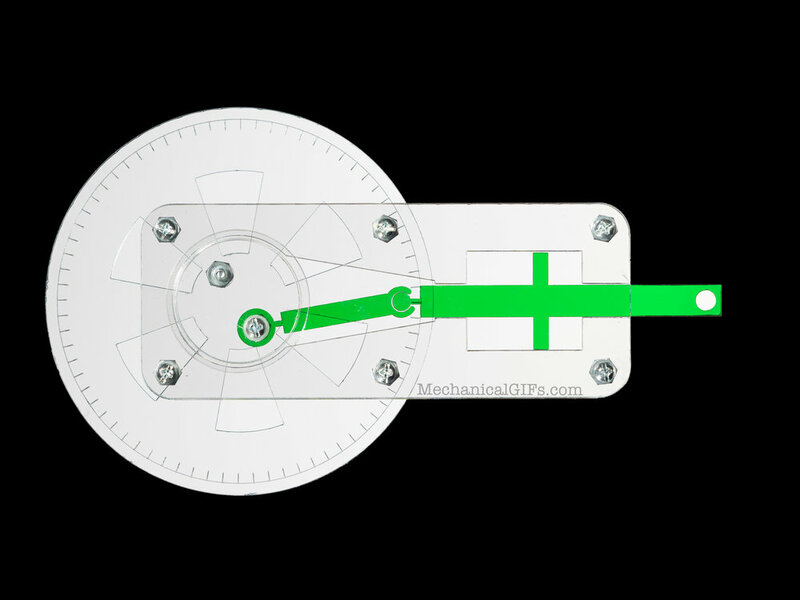 These models demonstrate the two most common forms of lock mechanism: pin-tumbler, and combination. 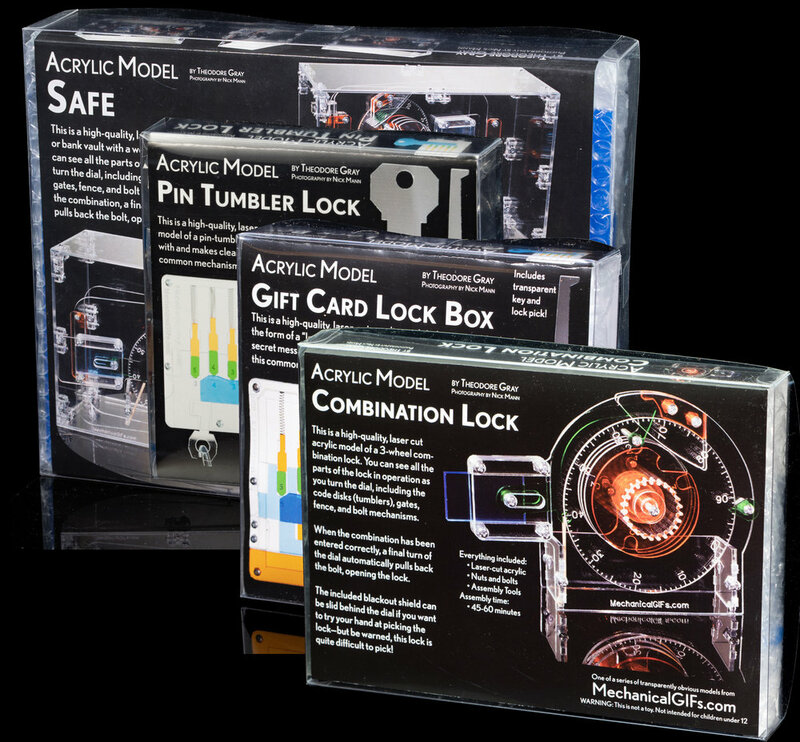 Each style is available either as a pure demonstration model, or with the lock built into a semi-useful object that demonstrates how it can be applied. 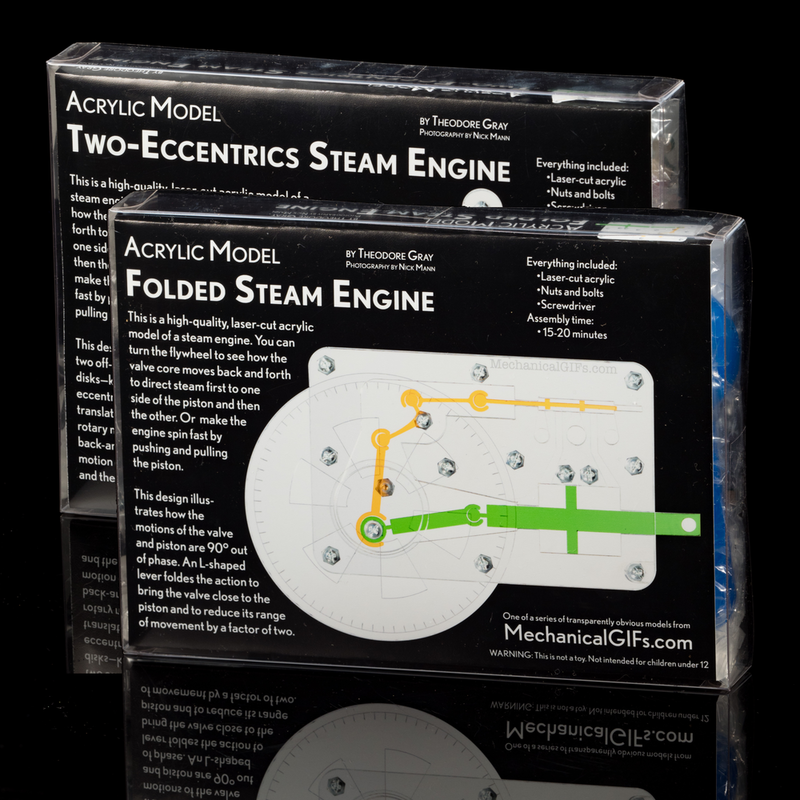 These two-dimensional models demonstrate the key features of steam engines and a radial internal combustion engine. By turning them slowly through their cycles you can see the role of timing in the operation of the engine. These models show, in transparent 3D form, the key ideas behind the major mechanical components in an internal combustion engine car. All the parts work, including the steering wheel, gear shift, and differential. Electric motors can be added to make the models run on their own. 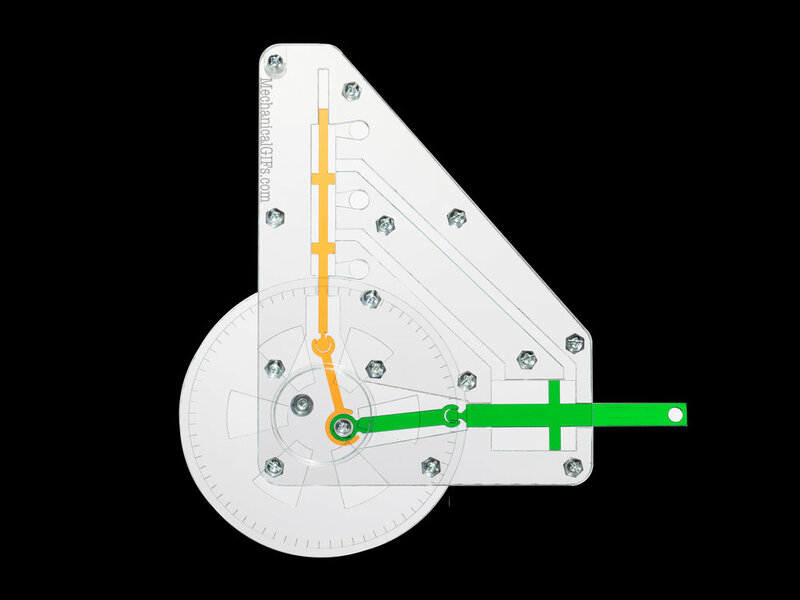 These kits include a fully functional battery-powered clock that tells time, and several variations of gear chains that do not run on their own, but are fun to spin by hand to learn about how compound gear chains can speed up or slow down rotational motion.